Continuing the discussion around the Leadership Statement, we are featuring some of our most talented leaders and asking them to reflect on the attributes they feel define great leadership. My first job in the Civil Service was when I was 19. I was a casual admin assistant at Macclesfield County Court. At that point, I wasn’t sure where my career was going, but I knew I found the work really interesting. That year I was made permanent and got promoted, which was just the start really! What's the skill you'd most like to have? I’m sure everyone says it, but it’s definitely IT skills – I think it’s my weakness and it’s something that I try and improve on every day. I’ve done e-learning, which has given me some knowledge to enable me to do basic spreadsheets, but I feel my lack of skills in this area holds me back. Sometimes I have a vision of how to do something, but don’t quite know how to put it into action. Luckily, my colleagues are really supportive and help me out. Okay, the biggest thing for me is to be confident and believe in your ideas. When I first started I had lots of good ideas but I didn’t have the confidence to share them. It’s something that just improves year on year and with experience. A few years ago I applied for the Future Leaders scheme and made a suggestion that a civil process should be removed because it was a waste – that idea was accepted and now it’s been taken forward for civil business. In fact it’s really being pushed, which is great. I think that was at a time in my career when I wanted more. I thought the scheme was way above my level but I just had to have the confidence and belief in myself to go for it. Which point of the leadership statement do you think is most challenging and why? This one’s difficult, but the point on being inspiring – ‘We will reward innovation and initiative, ensuring we learn from what has not worked as well as what has’. Looking back, I would say this can be a real challenge. It’s hard to recognise when something hasn’t worked well and move forward, ensuring lessons have been learned. I’ve seen it happen so many times that people don’t learn from their mistakes, particularly in delivery. Whether it’s small scale or large scale, we can always do better, and learn. Recently I’ve been working on a project which required me to take the lead in a different way to my usual operational delivery role. For it to succeed, it’s been important for me to be approachable and give feedback to the team, which is mainly made up of senior leaders. It’s been challenging and it’s really tested me but I’ve enjoyed it! I’ve improved my influencing skills, and have encouraged challenge by asking for feedback as often as possible. I’ve gone out to the team and asked them to challenge, to tell me what I need to improve on, making sure I listen to them. Also I played a role in the recent National Business Centre (NBC) ‘Innovation Day’, where staff gave us ideas on how to positively change NBC. From that, a number of ideas are being taken forward, this has helped me to make sure that staff at all grades are listened to and feel empowered. What's the question you'd most like to have been asked (and why)? As an AO I had a mentor who was wonderful and really challenged me. On one occasion she asked me to take minutes at a senior leaders meeting, it was really daunting at the time but since then I’ve presented at senior meetings, court user meetings, conferences and presented to Peter Hancock and the HMCTS board. When I look back, I don’t recognise that person! I am now a mentor myself, I mentor two people across different departments and I find it really rewarding. I enjoy seeing people grow, and developing staff and the mentoring system is a great way of doing that. It was my mentor that inspired me. In fact, it’s funny, because I read the other 60-second interview about my colleague Debbie - she’s another inspirational leader, she’s really approachable! Mel was nominated by her colleagues for the NBC regional award for ‘Inspirational Leadership’, which she went on to win. She was nominated for the wide range of activities she has undertaken to improve leadership capability in her area of work, while leading three teams in a busy area of frontline work. In particular, she has delivered workshops with staff on delivering praise and feedback, played a key role in a mentoring programme, and has driven a culture of high-level customer service by role-modelling leadership behaviours. Mel is an HEO in the HMCTS National Business Centre in Salford. 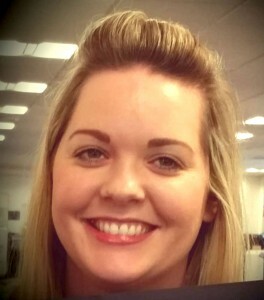 She works with the customer service team and is the lead for Continuous Improvement for the centre. Currently, she works with the Small Claims Mediation Service, which is a new area of business for the NBC.